Mr. Gaynor has over thirty years of experience in the design and evaluation of new and existing building structures with concentration in the forensic investigation, evaluation and remediation of existing building problems such as deterioration of structural building components and exterior wall system failures. His past projects have included commercial, large-scale residential, institutional and governmental structures with a wide array of structural problems including structural deterioration, foundation settlement problems and moisture intrusion issues. Mr. Gaynor’s repair projects have involved foundation underpinning, exterior façade repair and rehabilitation, balcony and garage renovation, structural strengthening, roofing, waterproofing, plaza restoration, exterior wall collapse stabilization and repair as well as building envelope renovation. Mr. Gaynor spent the first several years of his career as a structural engineer designing new buildings for a local structural design firm and then served as Vice President of an inspection company where he was responsible for construction observation services, prior to focusing his practice on building evaluation, repair, design and consulting. 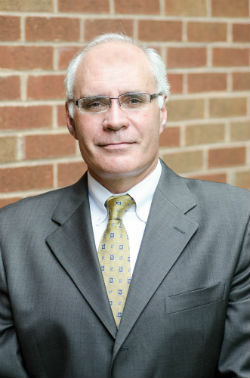 Mr. Gaynor attended the Pennsylvania State University where he received his Bachelor of Science in Civil Engineering Technology with emphasis in Structural Design and Construction Engineering in 1984. Mr. Gaynor has provided expert witness testimony in the District of Columbia, the State of Maryland and the Commonwealth of Virginia. In addition, he is a member of the American Society of Civil Engineers (ASCE), the International Concrete Repair Institute (IRCI), The Construction Specification Institute (CSI), The Community Associations Institute (CAI), The National Roofing Contractors Association (NRCA), and the Property Management Association (PMA). Mr. Gaynor is registered as a Professional Engineer in the District of Columbia, the State of Maryland and the Commonwealths of Virginia and Pennsylvania. He is also a LEED® Accredited Professional with the U.S. Green Building Council, a Construction Document Technologist (C.D.T) with the Construction Specification Institute (CSI) and holds a Level I certificate in Thermography.